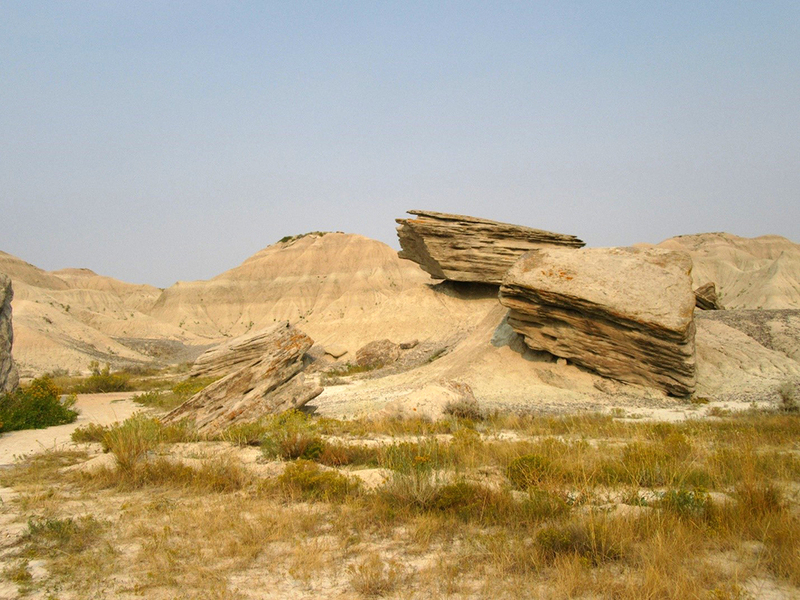 At the western edge of Nebraska sits an area of rugged sandstone rock formations known as Toadstool Geologic Park. For just $3 a car, visitors can be transported back 30 million years to a time when sabertooths and eight-foot tall rhino-like animals roamed the area. Thanks in part to volcanic ash deposits that reached Nebraska from the west coast millions of years ago, fossils are still visible in the weathered rocks of “Nebraska’s Badlands” (a nod to the similarly formed hills just to the north in Badlands National Park, South Dakota). 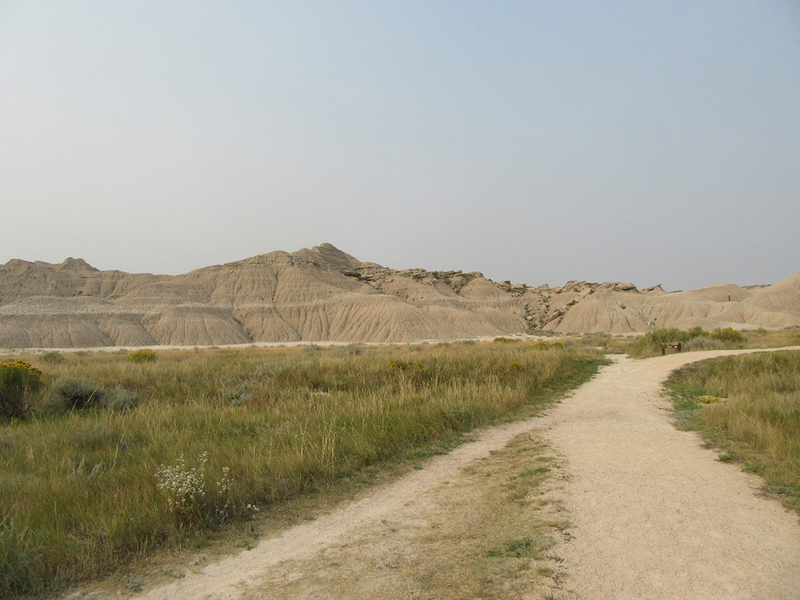 Located inside the Western Nebraska Oglala National Grasslands (18 miles west of Chadron, Neb.) 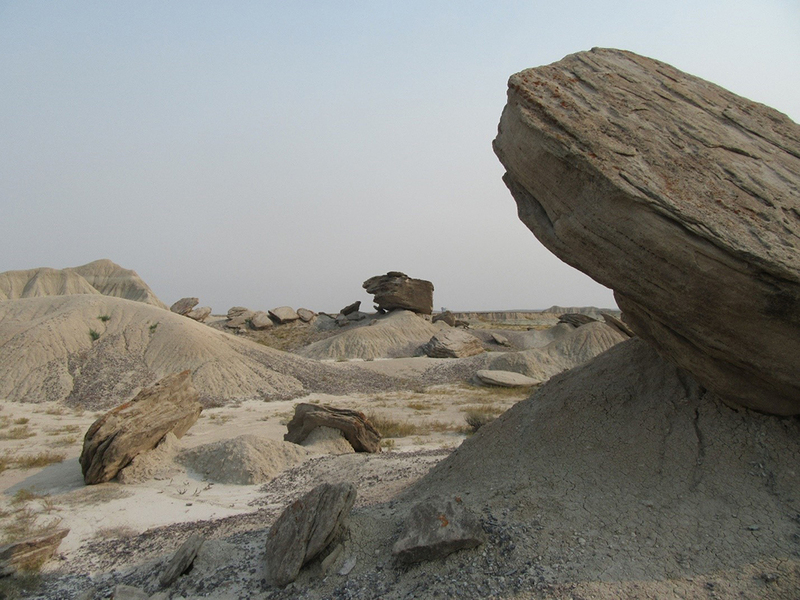 Toadstool Geologic Park emerges above the landscape like impending storm clouds in the sky. It doesn’t seem to belong to the flatness of the prairie that surrounds it. The drive up to the trail head is dusty and desolate, and you will definitely need to wash your car after making this journey. But once you’ve arrived, you are rewarded with stunning natural features and very few people. In fact, you might be the only person there, which makes this dry oasis even better. The site is operated by the National Forest Service and therefore very well maintained. It even has a few rustic camping sites available near the parking area. Restrooms (more specifically, modern outhouses) are also on site, but, there was no running water available at the time of my visit. So, if your plan is to camp or just flush a toilet, you’ll need to be mindful of this in your preparations. Make sure to bring plenty of water jugs, especially in the summer time, if your goal is to stay a few nights. Besides the primitive camping available, I recommend taking the one mile self-guided hike around and on top of the rocks. 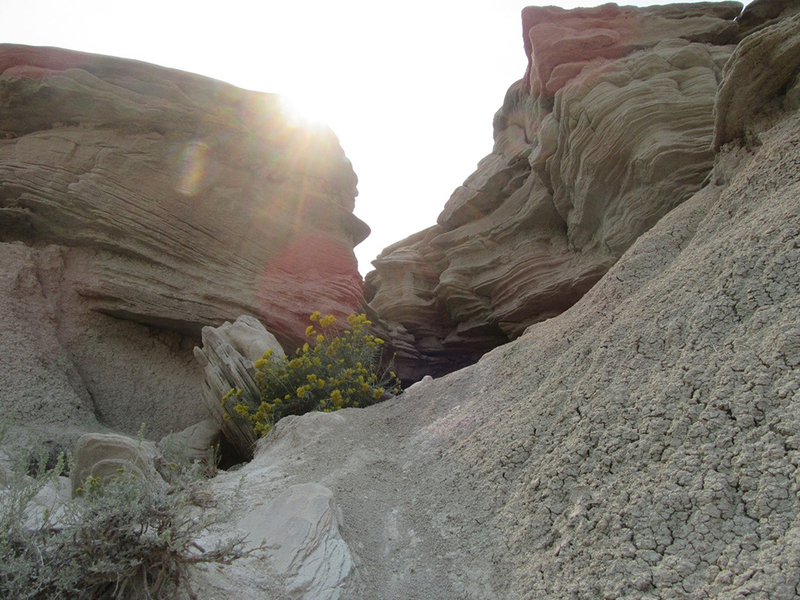 Each stop on the trail has a different fact about the rocks, the location, or the fossils. Trail maps are available free of charge at the entry and can be returned at the end of the adventure for the next hiker. The trail will take you through the valleys and climbing up some of the peaks. If you are one of those people who don’t like to follow a guided hike, I still recommend taking the map because it includes very interesting information about the area and its origins. Consider it your backstage pass to millions of years of natural environmental development. Wear a good hiking shoe or, at the least, tennis shoes. I wouldn’t recommend flip flops. What I do recommend is taking a few moments while at the top to enjoy the view. It’s beautiful in its starkness. There were a few times I questioned the safety of the trail as I gazed up at the next stops on the map that seemed pretty treacherous to reach (remember-nature has no handrails and a lot of loose gravel). However, the only other group of people enjoying Toadstool Park that day was a family with two young children. They made it through just fine. So, I knew if they could do it, I could do it, and I would go back in a heartbeat to do it again. I recommend you do it too.